The President of Ukraine noted that the leaders of the militants, Plotnitsky and Zakharchenko, are only puppets transmitting the messages of their Russian curators. The project "Novorossia", which according to its authors’ plan was to cover nine regions of Ukraine, has collapsed. President of Ukraine Petro Poroshenko made a corresponding statement at a press conference in Georgia, according to the press service of the Ukrainian head of state. “Since the beginning of military aggression against my nation, the goal of the Russian Federation was to divide Ukraine into parts. The project "Novorossia" included nine regions of Ukraine. 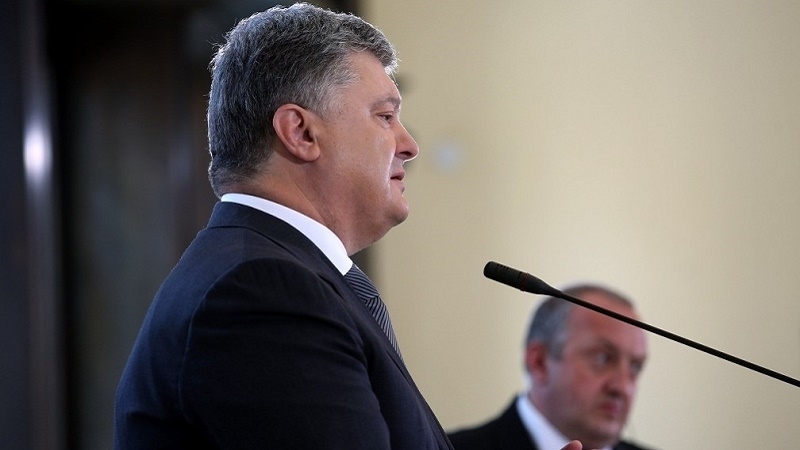 This project has completely collapsed," Poroshenko said. The President went on saying that the militant leaders Aleksandr Zakharchenko and Igor Plotnitsky are not political figures, but puppets who only convey messages received from Russia. The President of Ukraine added that the same situation is now observed in the occupied territory of Ukraine. "We have a humanitarian crisis in the occupied territories, a high level of unemployment, a catastrophic situation in health care and education," he said. According to Poroshenko, the only way out of the situation is the implementation of Minsk agreements, the withdrawal of Russian troops and artillery from the Donbas, the restoration of Ukrainian sovereignty over temporarily uncontrolled territories of the Luhansk and Donetsk regions, as well as the Crimea. 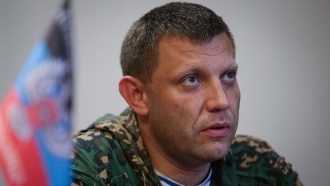 Earlier today, the leader of the terrorist organization "DPR" Aleksandr Zakharchenko announced the creation of a new pseudo-state called "Little Russia", which, he said, should become the "successor of Ukraine".